Principle implemented IT Express Centres at several global locations for HSBC. 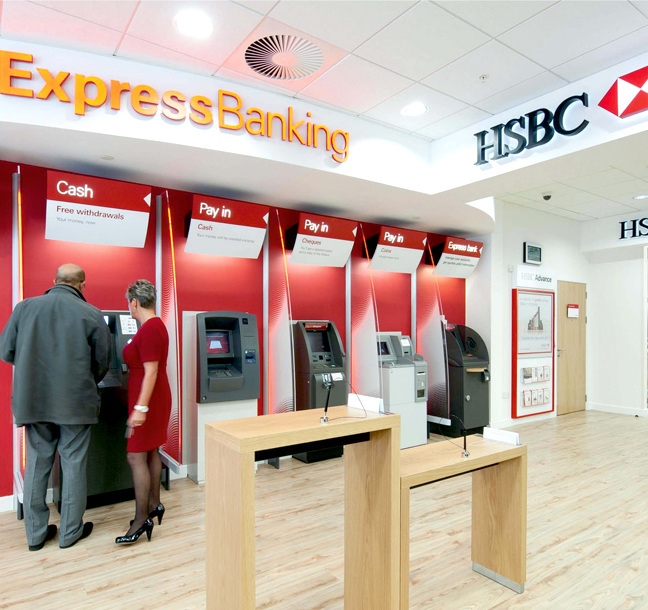 After a successful trial of an IT Express Centre at their London Head Office at Canary Wharf, HSBC took a strategic decision to install the facility at several locations around the world. Five prime sites were identified for Phase 1 of the project - Hong Kong, Toluca Mexico, Torre Mexico, New York and Dubai. Each location received the facility, which gives HSBC employees access to on site IT support and repair services. HSBC recognised the need to appoint a global partner in order to meet their objective of delivering an identical modular product at all locations, with local manufacture and local after sales care. As Principle has a long-standing relationship with the bank, and have previously demonstrated our global capabilities - worldwide offices, manufacturing plants and 360™ partner network - we were invited to discuss the project with the HSBC team, and subsequently appointed as supplier for Phase 1 of the project. 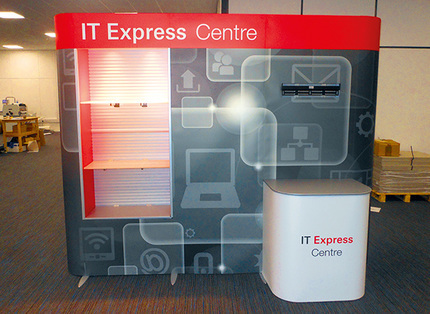 Principle has since created two versions of the IT Express Centre; a static unit for installation in workplaces consisting of modular units to serve as a drop in centre for HSBC Staff, and a self assembly unit which has been developed for exhibitions and conferences. 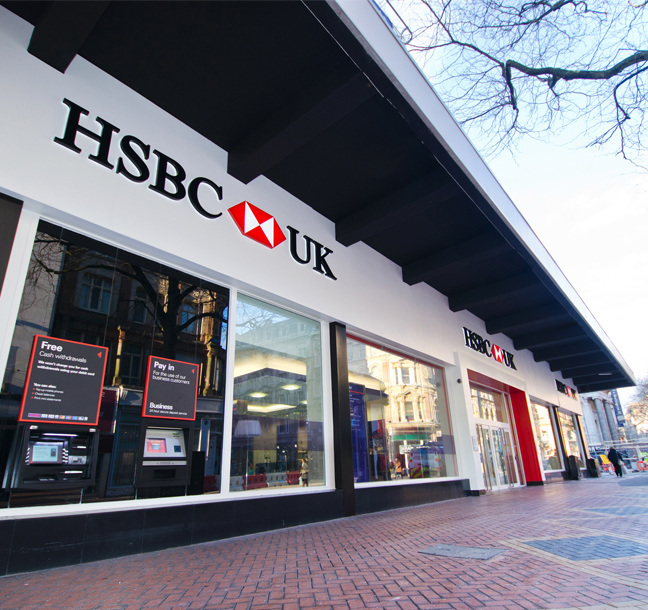 Principle appointed as sole signage contractor responsible for re- branding the entire HSBC UK network of over 700 branches. Global brand implementation for major high street bank globally deployed across the retail network. 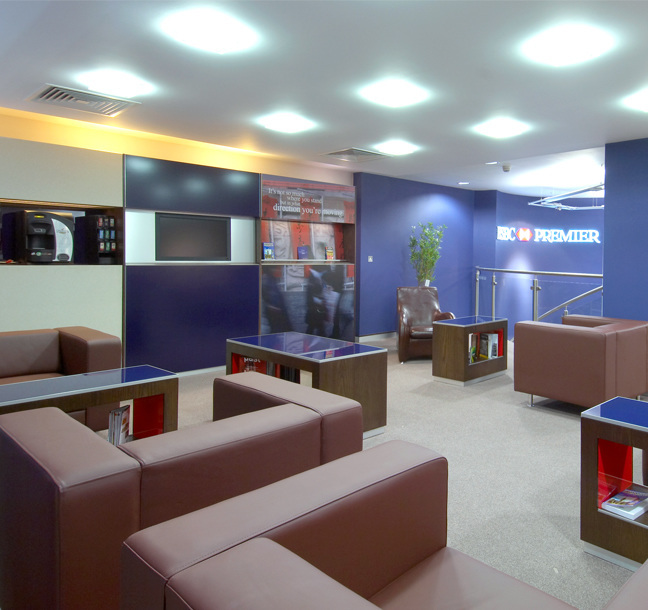 Principle worked in partnership with HSBC's Global Standards team to develop the multinational bank's Retail, Business and Premier interior concepts.